This review has been more than overdue but I didn't want to just post a review of my first impressions (even though they have been confirmed having fished with this line now for last number of outings). 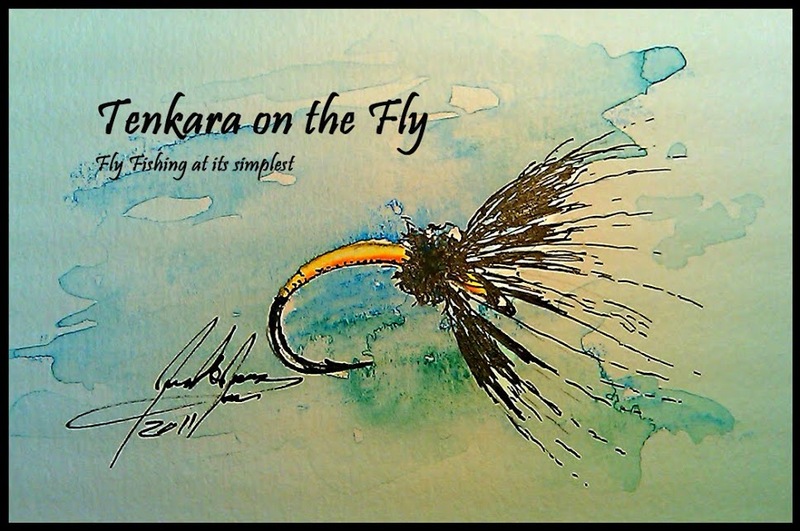 RIGS Fly Fishing is the first and only Colorado fly shop that officially carries Tenkara USA equipment and is also part of the Tenkara Guide Network. Tim and Matt have fully embraced Tenkara and it shows. RIGS has come up "own" tenkara lines, a Floating Line and a Nymph Line. I own both but have fished significantly more with the Nymph Line and this review will focus only on the Nymph Line. The RIGS Tenkara Nymphing Line is, as per RIGS, a depth control indicator system designed for fishing sub-surface weighted nymphs on larger streams. The main line is a regular hi-vis level line and the hi-viz indicator sections, coupled with clear running line sections, allow for maximum depth control and added strike detection without sacrificing visibility. The line is hand-tied and constructed out of 100% fluorocarbon plus a tippet ring and a transition loop. It comes in one length only, 12.5ft., which should fit most needs and rods unless you want to fish with a rod that is significantly shorter. I fished this line with a number of rods (TUSA Iwana 12ft, TUSA Ito, Daiwa 43MF, Suntech Suikei 39) and it it performs well on all of them. The main/running line is the yellow Tenkara USA hi-vis #4.5 which gives you more mass to cast heavier flies and will also punch better through wind than a light line. That being said, I personally have been fishing #3 or #3.5 level lines exclusively during last year and at times, the line felt a bit heavy. Others who only fish #4 or #4.5 lines will definitively like how this line casts. The hi-vis indicator sections are a great idea and make it easy to track how deep you are fishing. The clear line in between the hi-vis sections make it also a bit stealthier than a simple hi-vis level line. As the description says, it is most suited for depth control. A lot of creeks that I am fishing are not very deep, however, if you have this line already rigged, it obviously fishes also very well those shallower creeks taking advantage of the "stealthy" clear line. Should you feel that the line is too long, you can simple remove the transition loop that you would tie to the lilian, add any length of level line to it with simple loop-to-loop connection and add the transitional loop to the end. This line has also been reviewed by Jason Klass of Tenkara Talk here. This line is designed to fish nymphs with "depth control" and that's what it does very well. I like and fish this line a lot (even in shallow creeks) and should remember to order the #3.5 level line. The RIGS Tenkara Nymphing Hi-Vis Indicator Level Line is available online through RIGS's website here for $18.95. Disclaimer: I am not affiliated with RIGS Fly Fishing nor did I receive any compensation to review the Tenkara Nymphing Line. However, received it free of charge for testing & reviewing from RIGS Fly Fishing.